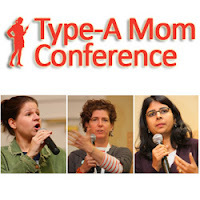 I simply would love the opportunity to attend Type-A Mom Conference. The conference starts roughly 2 months after the birth of my second child. It also starts 6 years after I typed my first post. Through different phases of life I have blogged. Everyone needs a chance to renew and refresh. This chance could be mine. 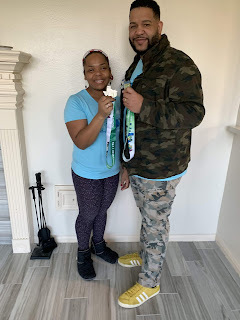 • It will help me be connected with other bloggers. I have researched other blogging conferences out there and I am very impressed at how diverse Type-A Mom conference already is. I am a blogger of color and I am so thrilled about that option as a tribe. If I am chosen to attend Type-A Mom, it will be my very first blog conference. I hope to share what I learned with local bloggers who won't get a chance to go as well as with my readers. The conference will make me a better blogger but my goal is to produce content that will make the lives of others better. • Here's the link to this giveaway at Blog Conference Newbie! Thank you for entering the Type-A Mom Contest at Blog Conference Newbie. Just a reminder: in order for your entry to count, there needs to be a mention of and a link back to the original contest post on Blog Conference Newbie. Thanks for the reminder, it totally slipped my mind. I just got it fixed. thank you very much!! !